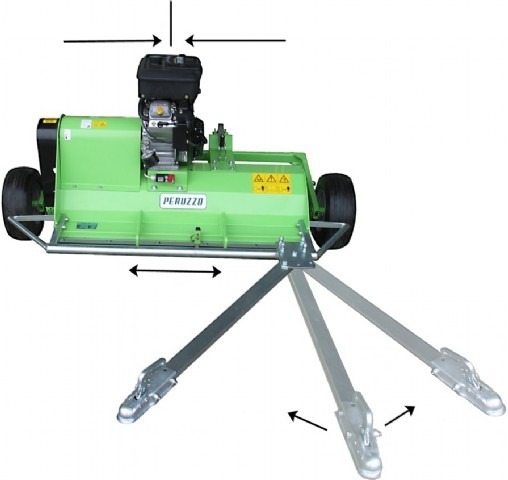 The Flail Mower MOTOFOX is used for cutting grass, small branches and verti-cutting on grass fields. Engineered to be mounted on the rear of a QUAD or ATV motorbike. The MOTOFOX is equipped with petrol engine, rear roller and rear transport wheels for easy adjustment. VERTICUT BLADES with 1,6 or 3 mm thickness.